Wash your hands and apply small amount of cream to the palm of your hand and massage it in by rubbing your hands together. 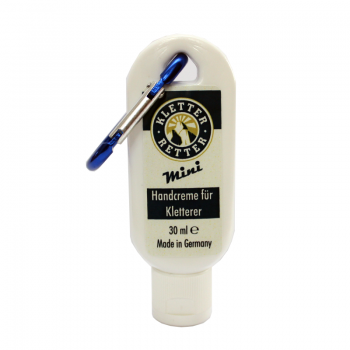 KletterRetter contains panthenol, calendula oil and vitamin A. The 30ml size is perfect for those times when weight and packsize is important eg on a long, multi-day route or when travelling.